Don't waste your time on public transportation or trying to flag a taxi, prebook our cost-effective private transfer and ensure that your holiday in New York can begin hassle-free. 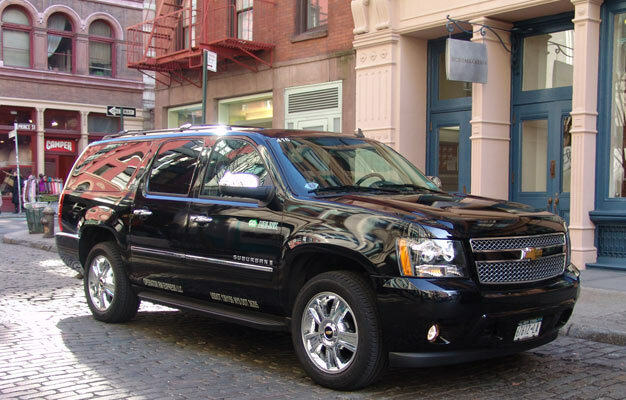 Your private driver will meet you at Newark airport and take you to your hotel on Manhattan. Our experienced, professional drivers will ensure your transportation to and from Newark airport is a breeze! Book your private Newark airport transfer here, and you will be met by your very own driver in the airport. If you wish, you can also order transportation back again, from your hotel to the airport. Shortly after your booking is complete, you will receive an e-ticket by mail. Please print out your ticket and bring it with you to Newark Airport. When you arrive in the airport, your driver will meet you with sign in baggage claim area or outside the customs arrival door. If you wish to order a round trip transfer to Newark Airport, you have to place two orders: One from the airport to your hotel and one from your hotel to the airport as every booking needs its own confirmation number. What kind of car should I choose? It depends on how many people you are. You can choose between a sedan if you are between 1-3 people, a VIP SUV if you are 4-6 and a van if you are between 7-10 people.